At the start of the season, College of the Rockies Avalanche player Alexa Koshman was considered one of the best in the league at her position. Now, she’s making the case that she should be considered one of the best at any position. This past weekend, Koshman’s team split two series in a four-game Fraser Valley road trip as they earned a win and a loss against both the Columbia Bible College Bearcats and the University of Fraser Valley Cascades, while she played left side hitter instead of her traditional libero position. What Swanson saw was a remarkable performance. Koshman led the team in kills with 45 over the course of 17 sets, while still making an impact defensively with a team-leading 37 digs. “I thought it worked really well this weekend,” Koshman said on her performance. “I loved playing left side and as a smaller [player] I have to have a different mentality than other left sides. I can’t just go up and swing as hard as I can all the time, I have to try to be smarter with my shots. The weekend was a battle of the bottom-feeders as the fifth-place Avs took on the sixth-place Cascades and the seventh-place Bearcats. Although COTR was not thrilled to have only come out with split series, Koshman said they felt good about the way they played and believe that they are still improving. Against CBC on Thursday and Friday, the Avs pushed the matches to the limit with both going to five sets. In the first game, they traded sets and then won in the fifth 15-11. In the second game, they gave up an early 2-0 lead and eventually fell 15-12. 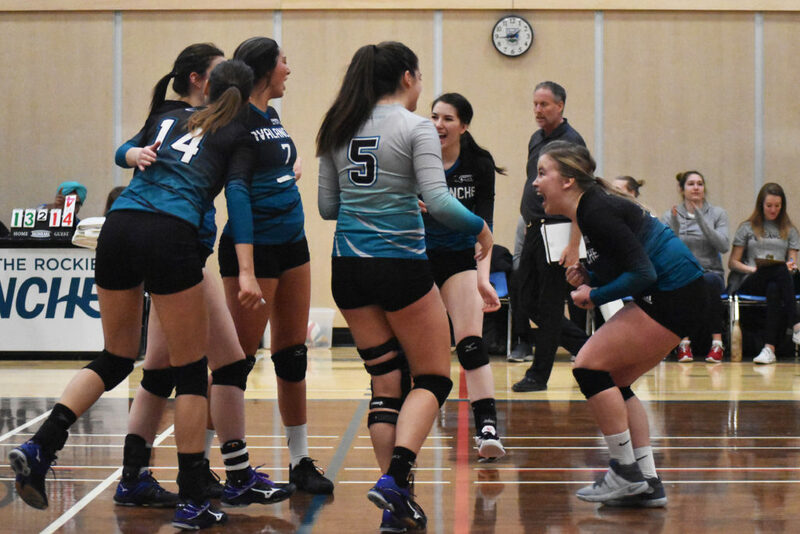 Although the team lost resoundingly in their first game at UFV, being swept 3-0, they managed to stay mentally strong enough to close out the weekend and the first semester with a big 3-1 win over the Cascades. Besides Koshman’s all-star performance, which also included 9 ace serves, the Avs had strong efforts from outside hitter Adriel Goodman who had 25 digs, 38 kills, 12 blocks and 6 aces over the weekend and middle blocker Kennedy Koop who had 16 digs, 24 kills, 9 blocks and 2 aces. With a 4-8 record, the Avs will now enter a month-long break in between semesters. Coach John Swanson said before the trip that the time off very helpful as the team is dealing with a multitude of injuries, and Koshman agreed. “This month off is going to be so beneficial for our team. Both mentally and physically, we have a lot of nagging injuries,” she said. “There are knee problems, hip problems, back problems… so it’ll be nice to have that rest. The Avs next game will be on January 6 at home when they take on the Vancouver Island University Mariners, the top-ranked team in the PACWEST so far this year.